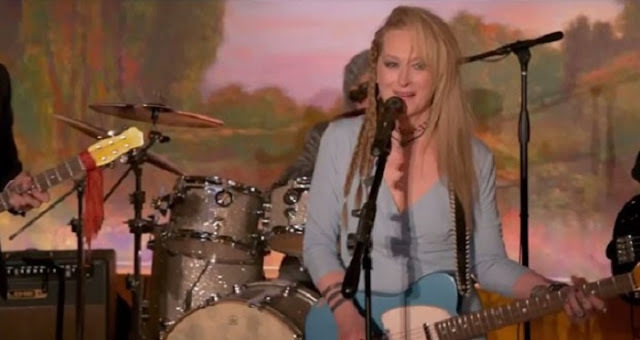 Meryl Rocks Out In New Trailer For Ricki And The Flash! Ricki and The Flash promises to bring us Meryl Streep as we've never seen her before...in full on punk rocker mode! Written by Diablo Cody, the movie will star Streep as an aging rocker looking for a shot at redemption. Ricki followed her dreams and lived a life full of regret and mistakes in her pursuit of fame and now the guitar heroine is looking to make amends with the people she hurt along the way. Check out the new trailer right here! The movie promises to be filled with great musical performances and an electrifying performance from Streep. Cody's sharp script and Jonathan Demme's sure-handed direction could even make Ricki and The Flash a dark horse come awards season! Keep your eyes here for more on the movie as we get it! 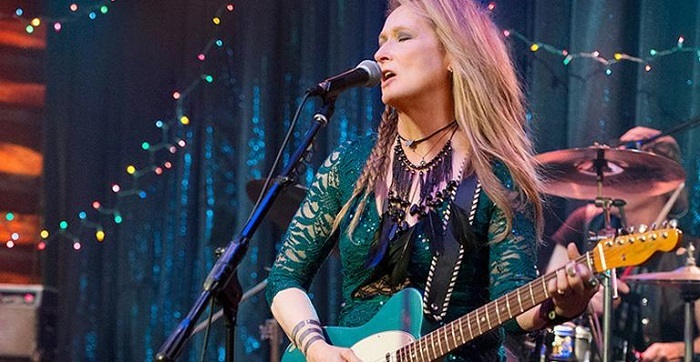 The Movie Bit: Meryl Rocks Out In New Trailer For Ricki And The Flash!